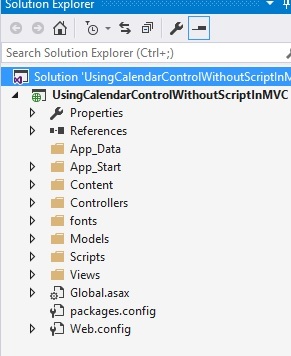 It is not mandatory that Model class should be in Model folder, it is just for better readability you can create this class anywhere in the solution explorer. 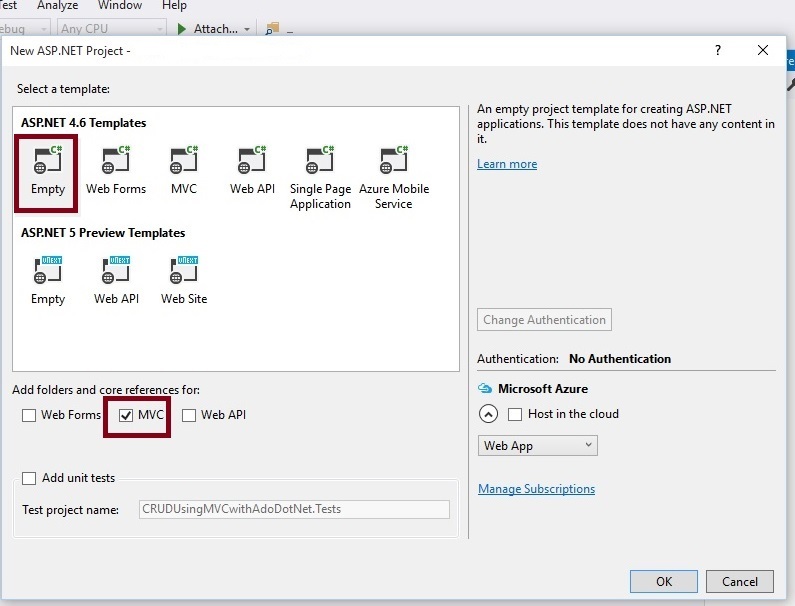 This can be done by creating different folder name or without folder name or in a separate class library. Don't change preceding code of HomeController as we are not going to add additional functionality. Step 5 : Create View. 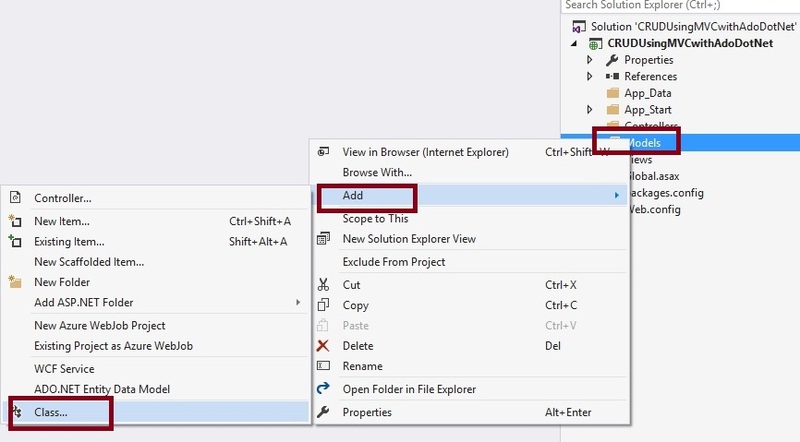 To create the View , right click on view folder and then click Add view. 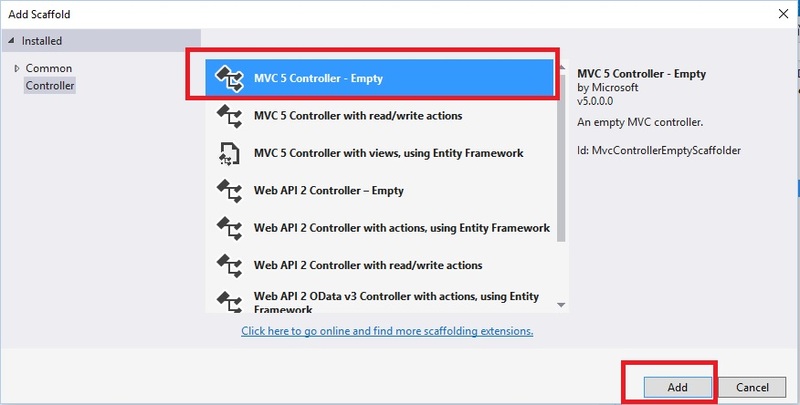 Now specify the view name as Index or as you wish, choose create scaffolding template and model class EmpModel.cs and click on Add button. Step 6: Run the Application. Now run the application the Index view appears as in the following screenshots. 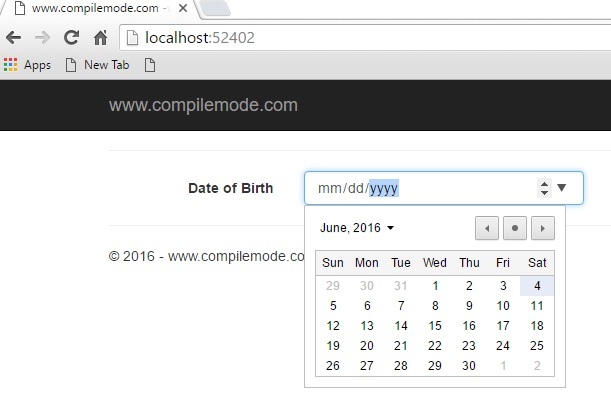 The Calendar UI differs as per browser. 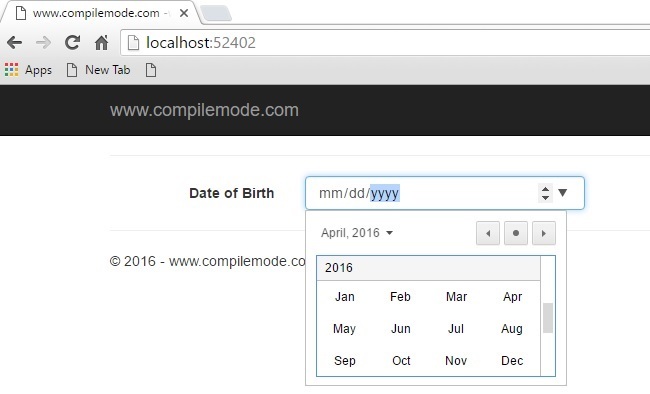 Data Annotation Date Data type calendar only support to those browser which are fully capable of HTML 5 date type . 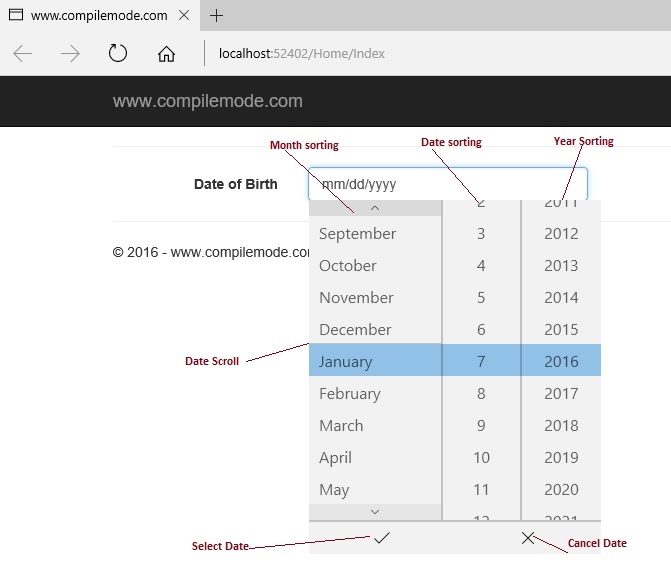 IE and Firefox does not support to HTML 5 date type , So this example will not be work on IE and Firefox. 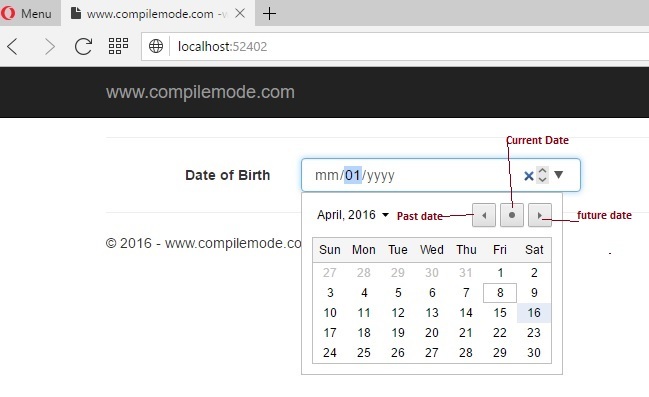 This Demo fully works on Google Chrome ,Microsoft Edge , Opera and Safari browser because the support HTML 5 date type. You can customize calendar including date format as per your need.